During Brazil’s currency crisis and devaluation in 1999, stringent implementation of labor regulations hindered, rather than enhanced, manufacturing plants’ recovery and workers’ wellbeing – an important lesson to keep in mind in current debates in many countries. In an article published in the May 2017 Journal of Development Economics (JDE), we examine the implications of global economic integration through international trade on local labor markets during that critical period in 1999. Many economic policymakers agree that reforms in the latter half of the 20th century, such as liberalizing trade relations and encouraging foreign investment, have been powerful drivers of efficiency gains, income growth, and consumer choice around the globe. At the same time, however, there is agreement that – as firms adapt to a more competitive global environment – the gains are often accompanied by short-term costs for workers in terms of unemployment and income risk. Policymakers have to weigh the broad economic benefits from globalization and technological change, on the one hand, against workers’ opportunities and security on the other. A micro-econometric estimation analysis of detailed, confidential, and proprietary micro-data sets – collected in part while visiting the Brazilian Labor Ministry – reveals a causal impact of trade reform on employment. Brazil’s policy environment of strict labor market regulations (e.g., hiring and firing costs), coupled with its dramatic trade liberalization and currency devaluation, make it a particularly appropriate setting to study the implications of globalization on employment opportunities in a middle-income country. As in many countries, much of the de jure labor market framework was established on a national basis in Brazil (in the Brazilian Federal Constitution of 1988), but de facto labor regulations – the varying levels of implementation through labor inspections, fines, and other processes in different locales – are heterogeneous. Administrative data on the enforcement of labor regulations during the 1999 currency crisis, a shock to trade openness, show that the way trade affects employment largely depends on the stringency of de facto labor regulations that companies face. The impact of the currency devaluation – widely predicted to expand employment by facilitating access to foreign markets and weakening import competition – was less significant in plants facing strong labor enforcement than in those facing more lax enforcement. The findings suggest that stringent labor regulations limit job creation and lower productivity gains. Not only was the efficient reallocation of labor in response to shocks inhibited by strict de facto labor market regulations; rigid enforcement also restricted the within-plant potential for productivity gains. The data reveal that regulations, for example, may limit plants’ ability to introduce new goods or investment in more complex production technologies that might have higher value-added. The burden of having to retain unproductive workers, making plants less able to compete, is another possible explanation for weak productivity gains. Previous research – arguing that weak enforcement leaves regulations ineffective – ruled out the possibility of labor regulations as an explanation for slow labor adjustment to trade reform. But our research shows that flexible regulations maximize the gains of reforms such as trade liberalization. As middle-income countries continue to face a globalizing and technologically advancing world economy, their strict labor market policies, limiting adjustment and reallocation, may have potentially distortive, unintended consequences. The trade-off between job security, on the one hand, and productivity and growth is already one of the most prominent public policy debates worldwide. Regulations designed to protect workers may actually further reduce employment as costs increase. Countries must show flexibility, while enhancing education and training programs, to benefit fully from changes driven by the global economy. As populist, protectionist policies gain influence in the world, policymakers should know that increasing the flexibility of de jure regulations will allow for increased job creation and thus offer broader access to productivity gains. 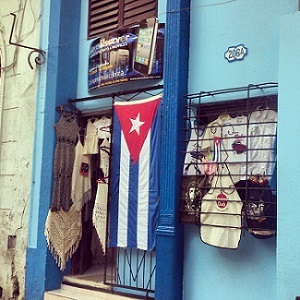 As the U.S. embargo – the main obstacle to expanding U.S.-Cuban economic ties – is relaxed by presidential regulatory action and eventually lifted by Congress, limits on Cuba’s own willingness and ability to conduct trade, absorb investment, utilize information technology, and even accommodate tourists risk putting a brake on the normalization of economic relations. Five decades of embargo and failed socialist models have rendered key sectors in Cuba ill-equipped to take advantage of the surge in U.S. business interest in the island. In some areas, the political will to open up and reform is crucial. These problems do not translate into a rejection of normalization but rather into a slower timeline than many on and off the island would hope for. The advantages of economic engagement are well known. Foreign investment will help provide the $8.7 billion Cuba wants for its “Portfolio of Foreign Investment Opportunities” – some 246 projects in energy, tourism, agriculture, and industry. Havana also wants growth rates to rise to 4-5 percent per year (from an estimated 1.5 percent in 2014), fueled by at least $2 billion in annual foreign investment. Trade, investment, and tourism are all potentially powerful engines for growth and employment in Cuba. Private farmers have long out-produced their state competitors and many cooperatives, making them ideal for engagement under current U.S. regulations if the Cuban government facilitates it. The small private sector, currently employing over a million people, could – with a more supportive infrastructure – provide many more vital goods, services, and employment that the Cuban government years ago admitted it could not provide. Sectors utilizing Cuba’s specialized and skilled human capital, such as biotechnology, could also benefit quickly and generously from the new U.S. relationship. Cuba has a lot going for it – such as its deep reserve of potential human capital – but it is also is held back by a variety of problems, many of which are prolonged by political caution. Cuba is updating laws governing investments, property, and labor – a new foreign investment law in March 2014 and related regulations are steps in the new direction – but the multi-year, incremental process has been too slow to keep ahead of burgeoning opportunities. Regulations on how foreign firms select, pay and release Cuban employees are also antiquated. Paperwork for approving foreign direct investment remains formidable and must pass through multiple levels. The country lacks the basic institutions necessary to license import and export transactions for beneficiaries outside government ministries. Much of the bureaucracy – chronically underpaid and, during periods of party dominance, neglected – has yet to grow into a new, more professional role. Unifying Cuba’s two national currencies is absolutely essential but, despite the government’s repeated declarations of intent, it has still not been done. The existence of a different, lower exchange rate for state enterprises creates distortions that will worsen as demand for imports rises. The financial system, moreover, is too over-burdened, secretive, and lacking in agility, and continued blocks to Cuba’s access to IMF, World Bank, and Inter-American Development Bank (IDB) funds deny it important breathing room to reform. Cuba lacks an information and communications technology (ICT) framework capable of harnessing and nurturing its human capital and driving growth and efficiency – which will retard progress in a number of priority areas. De-industrialization over the past 25 years has further reduced Cuba’s absorptive capacity. Many key sectors – including textiles, clothing, metals, machinery, transportation equipment, and more – have contracted between 50 and 100 percent. Much of the infrastructure is dilapidated. The transportation sector is in dire need of repair and modernization; and the construction industry is inefficient and poorly resourced. Cuba’s challenges in taking advantage of new opportunities are not insurmountable – with political will and time. The pace of reform and corresponding expansion of Cuba’s absorptive capacity may be maddeningly slow for many Cubans and Americans alike. But insofar as the U.S.-Cuba normalization process is irreversible, so too is the conviction in Cuba on the need to “update” the system through reform in order to take advantage of the opportunities it brings. Cuban national pride and the Communist Party’s fear of losing control could very well be assuaged as the island experiences the benefits of engagement. Foreigners, especially the United States, who push too hard, too fast, and too haughtily could fail and even delay this aspect of normalization, just as Cubans who move too passively, too slowly, and too skeptically could stymie the process as well. *This blog post is excerpted from the third in a series of policy briefs from the CLALS Cuba Initiative, supported by the Christopher Reynolds Foundation. Read the full brief here. Cuba: Can Official Labor Meet the Needs of Private Workers? As Cuba embraces a new but still undefined economic model, it’s unclear whether or how the country’s old labor laws and regulatory systems will be adapted to accommodate the interests of employees in the growing private and cooperative sectors, or in the newly autonomous state enterprises. The trade union structure cannot play the social role it played in the past with the emergence of businesses owned by both individuals and cooperatives, a growing role for foreign investment, and increasingly decentralized state enterprises. During a recent trip to Cuba, our research team met with representatives and staff from a range of officially recognized trade unions. We met with the national labor federation – the Central de Trabajadores de Cuba (CTC) – and with national and local officials from some member unions, including the national president of the health care workers’ union; local trade union officials in the hotel and restaurant workers union in the tourist sector in Old Havana; and local officials representing self-employed and small-business owners who have joined the union for retail and commercial workers. A Labor Code approved by the National Assembly in December 2013 changed some aspects of the legal framework for labor relations. It continued to privilege the CTC as the sole labor federation, while also taking some steps to recognize the new issues that confront workers in the emerging sectors of the economy. It established a maximum number of hours of work (44) for private-sector employees, required the self-employed or small-business owners to pay into a social security fund and ensure social protections – health care, pensions, etc. – for employees. And it guaranteed private-sector employees seven days paid vacation per year (though less than the one month given to state-sector workers). Our interviews, however, turned up more questions than answers. Newly autonomous state enterprises have greater latitude in setting wages, incentives and working conditions, but it remains unclear how these decentralized enterprises will handle labor relations issues, and what kind of negotiations might take place on compliance with regulations on workplace safety and protection, wage requirements and employment opportunities. Indeed, it is unclear how the current worker organizations will represent workers in these decentralized enterprises. The growth of the private sector presents another challenge. The CTC has sought to organize the self-employed into the unions in the industries in which they are functioning – the food service and restaurant union, the retail and commercial sector union, and so on – but it is unclear how the union will represent the interests of both owners of independent small businesses – cuentapropistas – and the 15 percent of “self-employed” who are actually employees in those enterprises. Similar queries are popping up in the cooperative sector and in enterprises run as joint ventures with foreign corporations or as wholly foreign-owned companies. 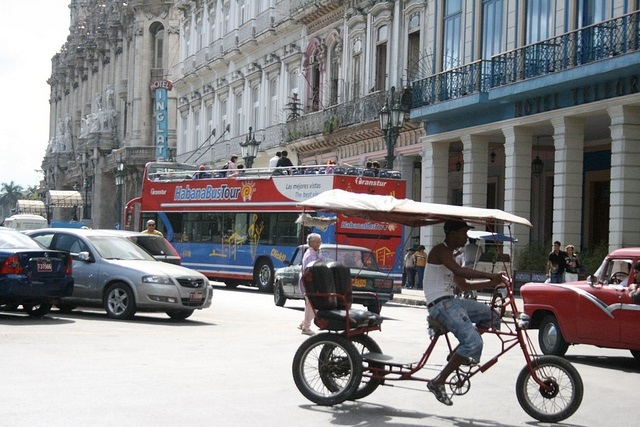 Cuba’s new labor policies are clearly a work in progress, but they signal recognition that there is an emerging stratum of non-state sector employees – and that they need social protections. It also reflects a balancing act between ensuring stable employment and benefiting from the flexibility that private sector employment models provide. The new Labor Code requires, for example, that employers sign year-long contracts with employees while guaranteeing them access to health care, parental leave and other benefits during that period. New challenges will emerge, especially in terms of the structures that represent the interests of these groups and advocate for them. But for now, there appears to be progress in establishing a system of social protections for the self-employed and for their employees under the new labor code. Concerns about the burden of compliance appear likely to be muted for at least the near term because, as it was clear to us during our visit, the self-employed and their employees are earning substantially higher incomes than are workers in the state sector. *Geoff Thale, program director at the Washington Office on Latin America (WOLA), in October led the research team’s fifth visit to Cuba examining the impact of economic change on workers. Mexico appears to be squandering a historic opportunity to take advantage of the “demographic bonus” represented by its surge in working-age citizens. The Mexican government estimates that about 32 percent of the Mexican population today is between the ages of 12 and 29 years. During this demographic bonus, a disproportionate percentage of the population enters the workforce—compared to those who are retired or nearing retirement—and drives economic growth. Workers passing through this demographic window of opportunity are supposed to generate wealth that will help support a soon-to-be-aging population. These opportunities don’t come around twice: age profiles in developing countries change quickly, and societies need to make the most of those few years during which the economically active population far surpasses that of the economically dependent. The portrayal of Mexico as a young country in the media and the adoption of labor reforms in 2012 brought an initial optimism about its ability to take advantage of this bonus, but the current state of affairs casts a shadow over the potential of its young population. According to a new report from the Organization for Economic Cooperation and Development (OECD), Education at a Glance 2014 Report, 22 percent of people between 15 and 29 years old in Mexico are neither employed nor in education or training. These “ni-ni’s” represent a demographic bust because of a lack of jobs. The lack of employment also influences young Mexicans’ attitudes toward education. According to the OECD, even high educational attainment is not a guarantee of employment in Mexico. A 2012 report by the McKinsey Center for Government found that only half of educated young people in Mexico believe that their post-secondary education has improved their job prospects. According to a National Survey of High School Dropouts in 2012, moreover, many young men leave high school to contribute to their households’ finances, and young women quit to take on family responsibilities related to marriage and pregnancy. Once out of school, they have no option but to participate in low productivity niches of the informal economy—severely reducing the benefits that their entry into the labor market could bring to the national economy. 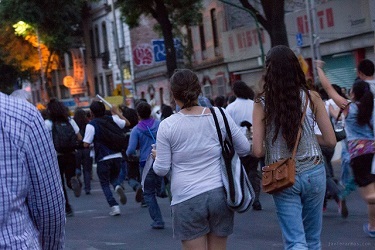 The fate of young people has profound implications for Mexico’s economic future. 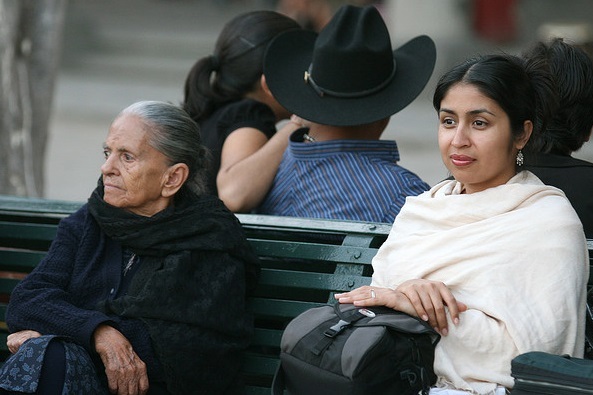 Without a comprehensive plan to expand employment opportunities and access to higher education that enables youth to flourish and lead Mexico into a new stage of development, Mexico will find itself a generation from now with the demographic profile of a developed country—with an aging population producing less but needing more care—but with a middle-income level of wealth. Budgets will be stretched, and social tensions could be great. Many of the most capable young people will leave the country for better opportunities. Young Mexicans appreciate what’s at stake and are using the tools at their disposal to make their voices heard. Lately, student movements have attracted international attention using social media, but it’s far from clear whether the Mexican government and political, economic, and social elites are listening and have the vision necessary to avoid a crisis.